Internships and work experiences offer great opportunities to explore different industries and work environments, as well as build valuable skills. There are two types of on-campus employment both with different eligibility requirements: federal work-study jobs and casual jobs. Pre-law and pre-health listservs promote opportunities on and off campus: CC/SEAS Pre-Professional Advising and GS Pre-Professional Advising. Congressional and White House Internship Program Advising Provides assistance to undergraduates interested in spending the summer interning in either the local or Washington, DC office of a United States Congressperson. Volunteering is a great way to give back to the community, as well as brush up on your leadership and teamwork skills while exploring areas or causes of interest to you. Research with Arts & Sciences Faculty Arts & Sciences faculty of all disciplines are keen to include undergraduates in their research. Learn how to get involved. Getting involved with student organizations offers the chance to meet likeminded students, explore your interests, and gain leadership skills. 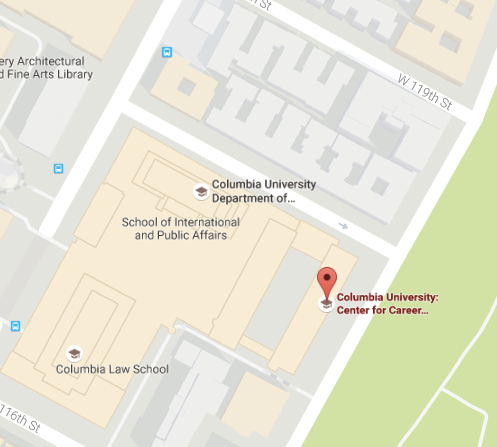 Student Clubs and Organizations Join one of Columbia’s 500+ student groups, many of which offer ways to explore career paths, offer employer connections and events. Examples of student organizations include: Engineers Without Borders, Student Council, Columbia Organization of Rising Entrepreneurs, Women’s Business Society, Columbia Spectator, and many more! There are numerous programs on campus that provide funding to selected students to participate in summer experiences related to their career or academic studies.